Richard ?tef?n sent me the article, thanks a lot. 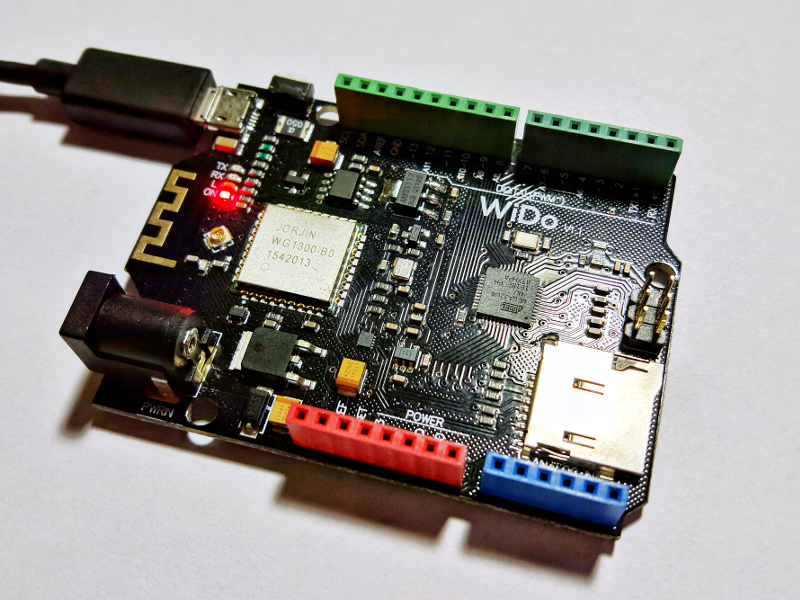 Recently I received IOT development board called WiDo by DFRobot. It's similar to Arduino Leonardo, but with a few extra perks like SD Card slot and CC3000 WIFI module.